PAUL ROLAND is a prolific recording artist and the author of more than 30 books on the subject of true crime and the occult. He has been called the ‘Edgar Allen Poe of psych-pop’ and, more recently, ‘the Godfather of Steampunk’. Since the appearance of his first album ‘The Werewolf of London’ in 1980 (a John Peel favourite and a regular feature at the legendary Bat Cave) Paul has written and recorded 15 albums which have earned him a loyal cult following in the UK, Europe and the US. Formerly managed by June Bolan, the widow of T. Rex frontman, Marc Bolan, Paul spent the past 30 years spinning tales of Victorian villains, eccentric Edwardian inventors and the supernatural against a backdrop of gothic-psych-baroque pop which culminated with the ‘Re-Animator’ album featuring songs inspired by the horror fiction of H.P. 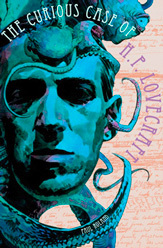 Lovecraft and contributions from members of Caravan. Other guest musicians on Roland’s albums include Robyn Hitchcock, Bevis Frond, Nick Nicely, Knox of the Vibrators and Andy Ellison (of John’s Children). 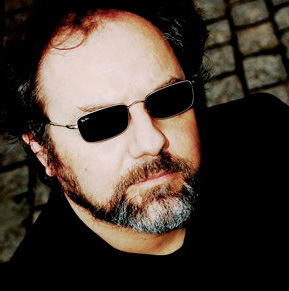 Album success on labels such as Bam Caruso, Imaginary and New Rose led to Paul’s first European tours and releases in France, Germany, Greece, Italy, the USA and Japan. He also received offers to work with film composer Michael Nyman and members of the Velvet Underground for which he penned the songs on his belatedly released 2013 album, ‘Bates Motel’, a collection of macabre tales with a sinister garage and psych rock setting. 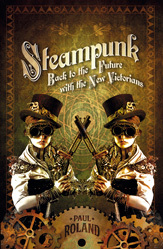 “Some kind people have referred to me as one of the godfathers of Steampunk and although I am honoured by that, I can’t in all honesty make any such claim. When I wrote such songs as ‘The Great Edwardian Air-Raid’ and ‘Wyndham Hill’ (about an Edwardian inventor’s inaugural flight in a fragile contraption) in the late 80s I was merely indulging my affection for one of my favourite authors H.G.Wells and Edwardian elegance in general. At the time I could never have imagined that there might be others who shared my obsessions - and just as well really as there is nothing worse than an artist creating something in order to be popular or worse, fashionable. Instead, I conceived a gaslit world of my imagination with a milieu that owed much to Hammer Horror films and DC ‘House of Mystery’ comics. Then I populated it with historical and fictional characters that I wanted to ‘live with’. 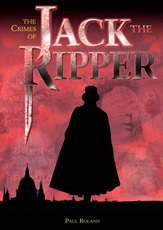 Hence we have ‘The Crimes of Dr Cream’, ‘Gabrielle’ (inspired by a haunting image from ‘The Innocents’), ‘Captain Nemo’, ‘Edgar Allen Poe’, ‘The Ballad of Mary Kelly’ (Jack The Ripper’s final victim), ‘Spring Heeled Jack’, ‘Nosferatu’ and ‘Reanimator’ to name just a few. I also had a penchant for supernatural themes and the Regency period, but that is another story.